The Bluebird Patch Featured in Atlanta Parent Magazine "Parents Who Blog In Atlanta"
Happy news! 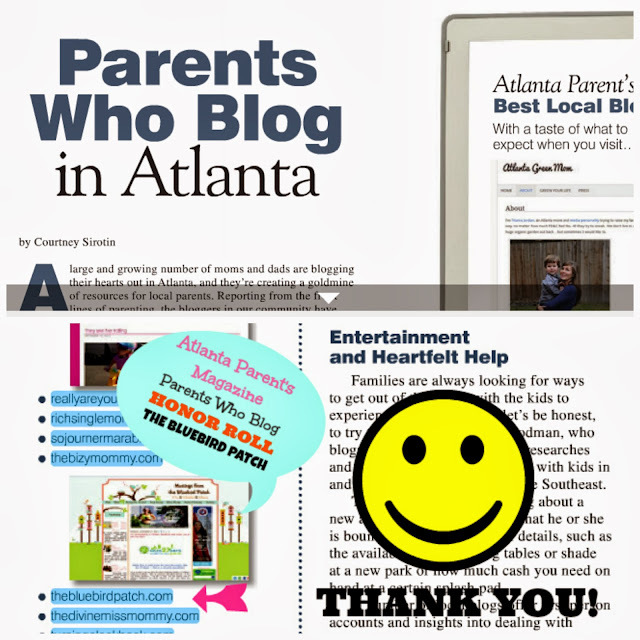 Atlanta Parent Magazine the leading print and online resource for parents in the Atlanta metropolitan area has featured The Bluebird Patch in the spread "Parents Who Blog In Atlanta". I am truly honored and grateful for this wonderful mention. Atlanta Parent Magazine has been a valuable resource for Atlanta families since 1983. You can read the full article online here. Atlanta Parent Magazine also publishes several ancillary publications for parents including: Big Book of Info, Big Baby Book, Big Book of Camps, Big Book of Parties, Big Book of Schools and Just Kids. For more information on our publications click here. 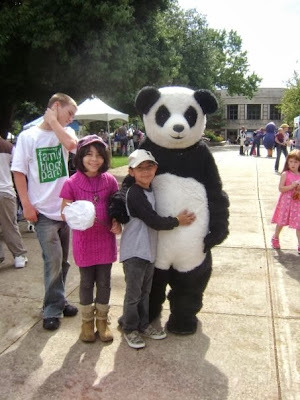 The magazine also produces several events including a Family Block Party that features more than 50 exciting family-friendly activities, live entertainment including performers, storytelling, and local groups, food, interactive exhibits, craft booths, huge toddler play area, mobile petting farm, interactive sports games, inflatable play ground, pony rides, live music and continuous storytelling are just some fun activities Family Block Party has to offer festival goers.